There are over 1,500 four-year colleges in the United States. How do you begin to find the good colleges you should apply to? To a certain extent, the definition of “good” will vary from student to student. 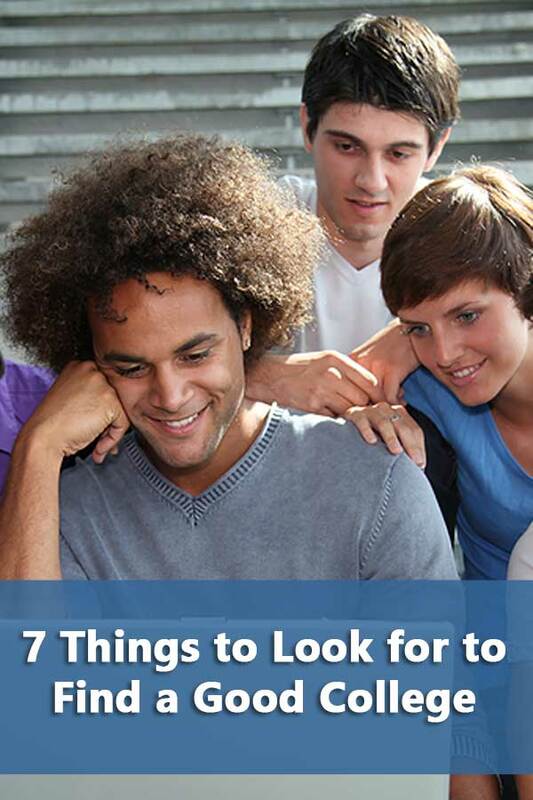 However, there are seven things a college should have for it be a good college for a student to consider. 1. A good college must be one you can afford. Finding colleges you like and worrying about how you will pay for them later is a bad idea. Families need to know how much they can afford and should use the Expected Family Contribution (EFC) calculator provided by the College Board before they start trying to find the perfect college. They also need to use the net price calculators from the schools under consideration. Another potential issue to consider is how much of a cost difference is acceptable. For example, parents may have decided to pay $25,000 a year toward college. But what happens when one college offers the student $20,000 a year in merit aid and another equally desirable college doesn’t offer any? If the student can still afford the second college if the parent contributes $25,000, will the parents do so knowing they can save $20,000 a year if the student attends the first school? 2. A good college should have a good four-year graduation rate. Unfortunately, “good” is relative in this situation. A regional state university isn’t going to have the same graduation rate as a competitive national university that admits less than 10% of its applicants. Set a baseline four-year graduation rate of 50% for private colleges and use the five-year rate for public schools. If a college doesn’t meet these minimum requirements, you had better have a very good reason for keeping it on your list of good colleges such as a unique program or excellent financial aid. Once you start narrowing down your choices, compare your preferred colleges’ graduation rates to similarly situation schools. CollegeResults.org‘s comparison tool is an excellent way to get a sense of how good a school’s graduation rate is compared to its competitors. 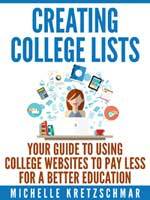 This information is also available in the DIY College Rankings College Search Spreadsheet. 3. A good college should have a high percentage of full-time faculty. Part-time faculty will not be conducting research on campus that can involve students. They may not be around by graduation for letters of recommendation. They probably don’t have the time or knowledge to act as advisors to students on campus concerning future class choices or employment opportunities. There are certain areas where you might expect to see more part-time faculty. These are areas where bringing in a practicing professional adds to the students’ experience. This includes areas such as music, business, and education. 4. A good college will have small classes. The smaller the class size, the better the graduation rate. Of course, not everyone can afford to attend a college with an average student to faculty ratio of 7 to 1. However, beyond the introductory level, class sizes should decline as students move into upper division classes. This is why simply looking at the average student faculty ratio isn’t very helpful. Class size will vary by course level and many times, by department as well. Check the course schedules for actual class size of upper-division classes. 5. A good college will have a strong campus culture. Availability of on-campus housing. Requiring students to live on campus as a freshman is a good thing. The higher the percentage of students living on campus, the higher the graduation rate. First-year experiences that provide academic experiences with a small group of freshman help to establish a group of peers. Learning Communities offer students with similar interests to be assigned to some of the same required courses and living areas. Intramural and campus activities provide students with the opportunities to interact with other students on campus outside the classroom. 6. A good college will have a demonstrated track record of job placement for graduates. The college career center should provide you with the number of graduates that have been placed in jobs after graduation or are attending graduate school. Be sure to ask questions about the statistics such as how many students are employed full-time and in their desired field. The presence of major employers recruiting on-campus isn’t always the best indicator for future employment. It’s a numbers issue, it’s simply more efficient to recruit at large campuses. However, that doesn’t mean all students are finding employment. 7. A good college’s programs will be accredited as appropriate. Majors such as nursing, teaching, and engineering have specific organizations that accredit programs for the state and national levels. For professional programs that require passing state or national exams to practice, check the college’s pass rate for the exams. Some institutions will have dramatically higher pass rates than others.